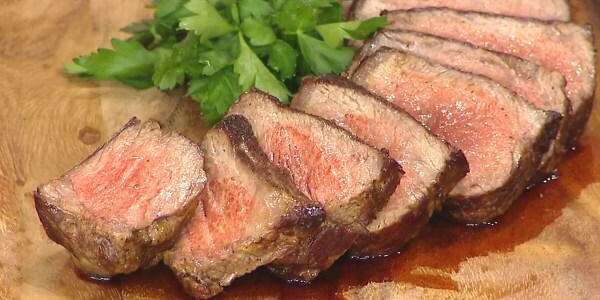 He shows us how to make grilled bone-in rib eye steaks, buttery baked potatoes with cheese, creamed spinach with crispy bacon and warm apple crisps that are perfect for fall. The key to making a perfect steak is to keep things as simple as possible and to choose the best quality meat you can find. 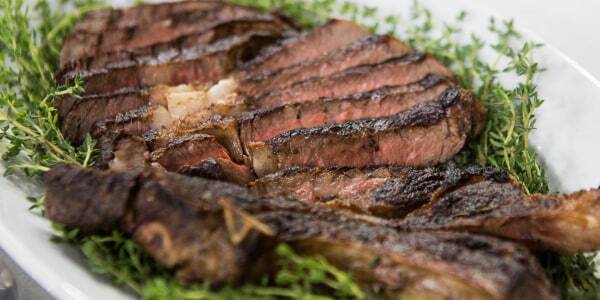 This classic steakhouse staple is easy to make and delicious. 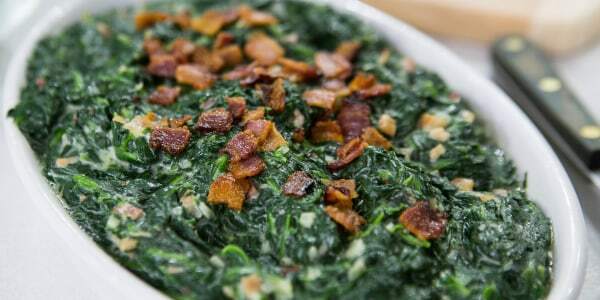 The bacon adds a smoky flavor — and its addition makes it even easier to eat your vegetables. 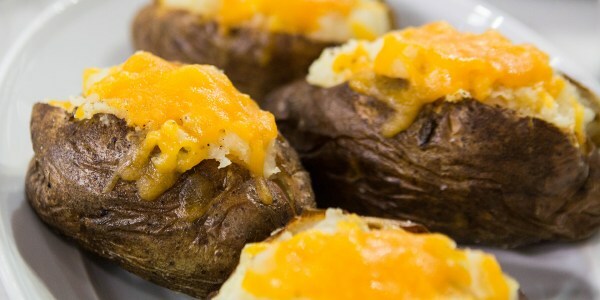 Nothing beats a basic baked potato. 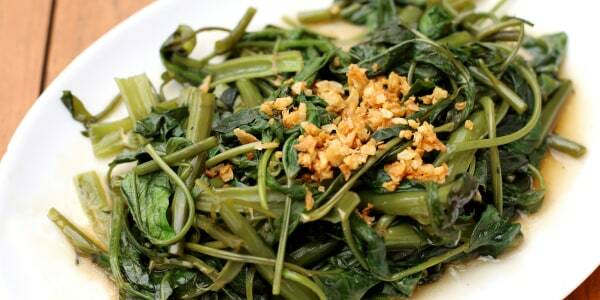 It's the perfect side dish that can be dressed up or down. It tastes just as great with only a bit of butter as it does fully loaded with all the fixings. Nothing says fall like the smell of cinnamon and apples in the oven. This sweet crisp also incorporates Chinese five-spice powder that gives it an extra kick.